Japan is one of the modern countries in term of technology in the world. On August 6, 1945, during World War II (1939-45), an American B-29 bomber dropped the world’s first deployed atomic bomb over the Japanese city of Hiroshima. 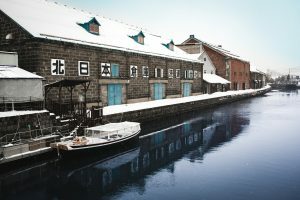 The explosion wiped out 90 percent of the city and immediately killed 80,000 people (History.com,2009) This has encouraged Japan to be what they are right now. The advanced in technology has proven through the first bullet train in the world, Nissan Skyline GT-R and much more. Japan is an island country consisting of four major and numerous smaller islands. The island lies in an arc across the Pacific coast of northeastern Asia, forming a part of volcanic “Rim of fire”. Japan’s closest neighbors are Russia, Korea and China. Japan’s topographical features include coastlines with varied scenery, towering mountains, which are very often volcanic and twisted valleys that invite visitors into the mysterious world of nature. There’s only one official language spoken in Japan which is Japanese but many of the Japanese understand English so it is easy for tourist to enjoy trip to Japan.